Shipping with Mailers: What’s Right for Your Products? Thanks to the rise of e-commerce and the introduction of dimensional weight charges, shipping with mailers has become more prominent than ever. 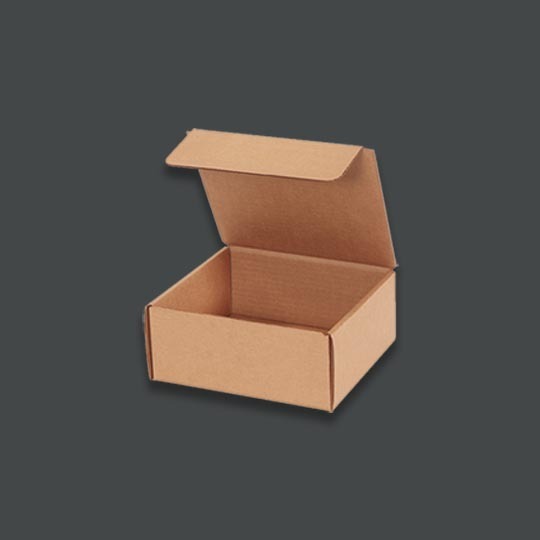 They’re smaller and lighter than corrugated boxes, helping to reduce shipping costs, while still retaining the shipping strength and protection your products deserve. But with the sheer number of options for shipping with mailers, which one’s right for you? We’ve put together this list of the main options you’ll come across when shipping with mailers. It’s a rundown of their specific features and uses, along with what products go best with them. It’s been a good refresher for us, and we think it’ll be helpful for you and your packing teams. Let’s get started. 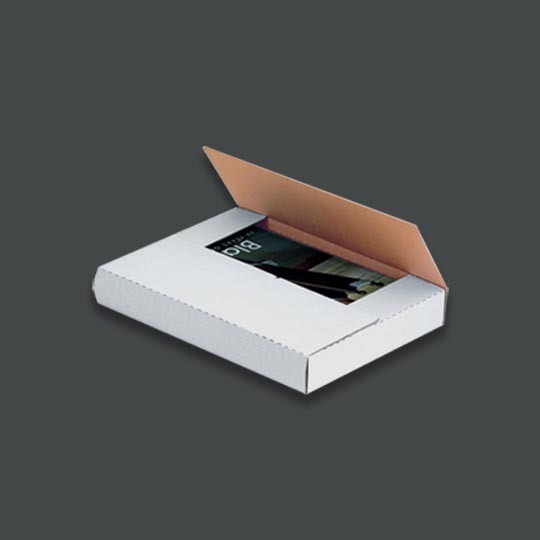 Mailers with scoring at multiple depths for accommodating products of varying thicknesses. They’re easily folded up and secured with tape, while some have peel-and-seal adhesive strips. What are they best used for? Mailing books, catalogs, framed pictures and artwork. If a business sells multiple products of similar size (but with different depths), one mailer size can likely accommodate them all. 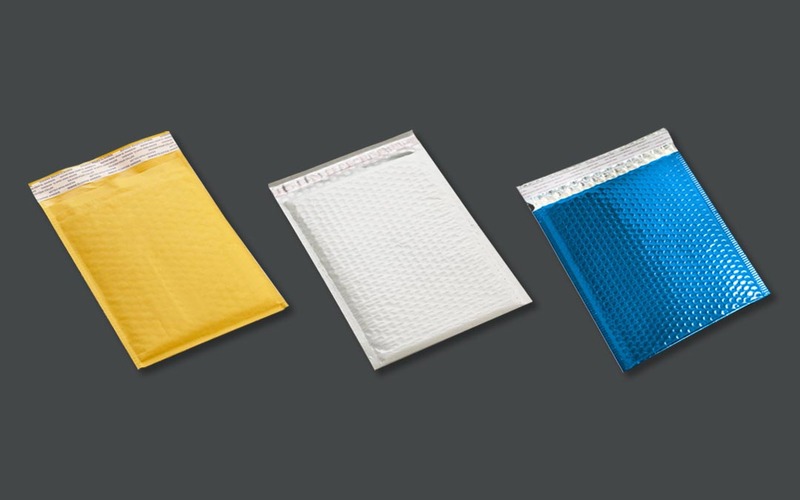 Lightweight and crush-resistant mailers. They provide ample product protection during shipping while helping to reduce delivery costs, especially when it comes to dimensional weight charges. Small, lightweight or fragile items such as tools and small parts, nuts and bolts, watches and glasses. Their tuck tops also make them ideal for using as simple unboxing experiences. Mailers specifically meant for shipping various forms of literature. They typically have a lower profile for a snug and protective fit, while their tuck tops help act as dust flaps. Mailing books, magazines, catalogs, reports, binders and business stationery. Their tuck tops also make them ideal for using as simple unboxing experiences. Mailer envelopes lined inside with bubble cushion. Available in paper (kraft or white) or poly (plastic) material. A peel-and-seal adhesive strip creates a secure, tamper-evident closure. Shipping products that need cushioning during their trip, but don’t need the excessive space of a corrugated box. Items such as books, movies, music, small electronics and handmade creations. 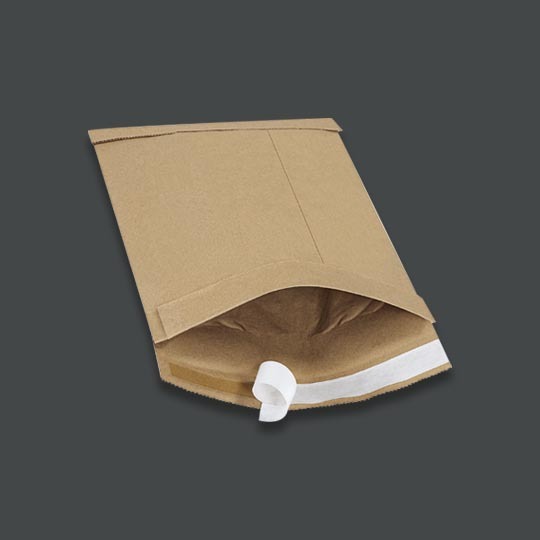 Mailers created from polyethylene plastic, which makes them water, puncture and tear resistant. A peel-and-seal adhesive strip creates a secure, tamper-evident seal. Shipping items that require discretion, security or moisture protection. Items such as jewelry, medicinal cannabis, sensitive documents, boxed electronics, clothing and handmade creations. Strong mailers made from chipboard. Their lightweight nature helps to reduce shipping costs, while still providing ample protection. A peel-and-seal adhesive strip provides a secure closure. 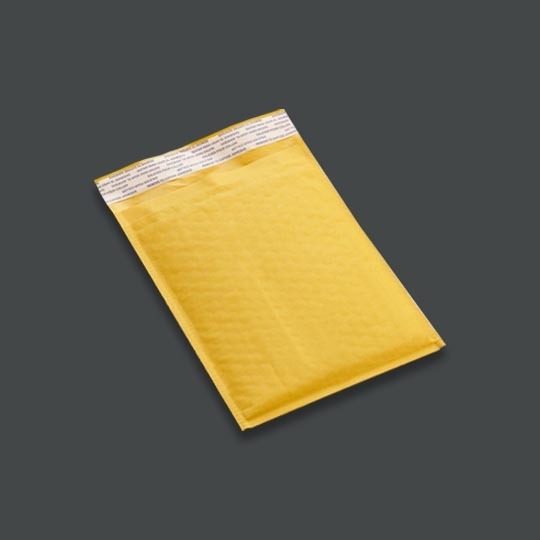 Mailing flat or thin products that shouldn’t bend or wrinkle during shipping. Items such as unframed photos, documents and contracts, magazines and comics, CDs and DVDs. 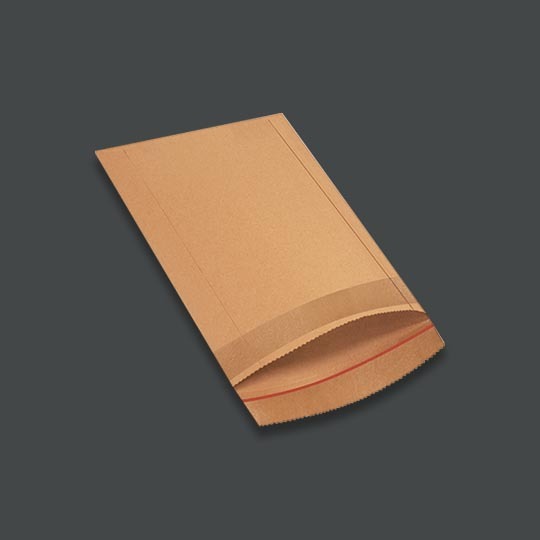 Extra-strong flat mailers made from laminated fiberboard material. They provide superior corner and edge protection during shipping. A peel-and-seal adhesive strip provides a secure closure. Mailing fragile or sensitive products that cannot bend, wrinkle or crease during shipping. Items such as rare books and comics, valuable documents and contracts, calendars and stationery. 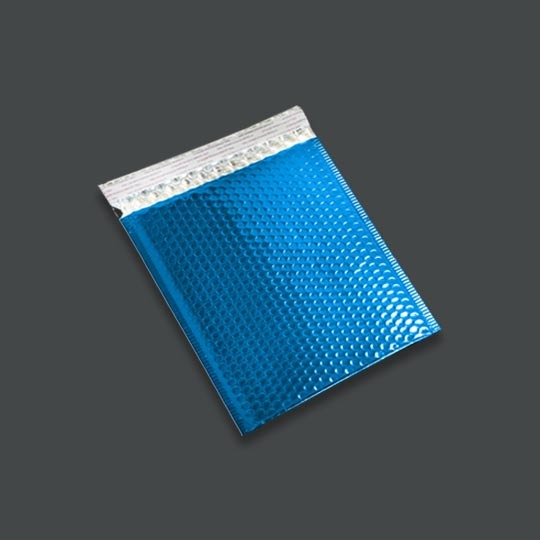 Bright, shiny and colourful mailers made from aluminized polyester laminate foil. A peel-and-seal adhesive strip provides a secure closure. Available unlined or with bubble cushion inside. Making an eye-catching statement and reinforcing your branding. 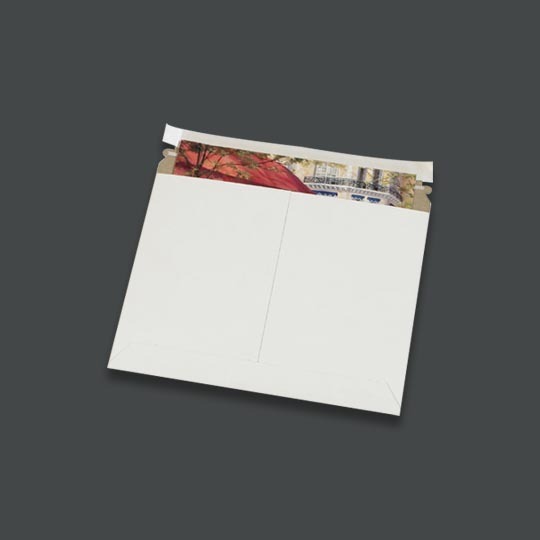 They can be used for any items you’d ship in a standard bubble mailer or poly mailer envelope. 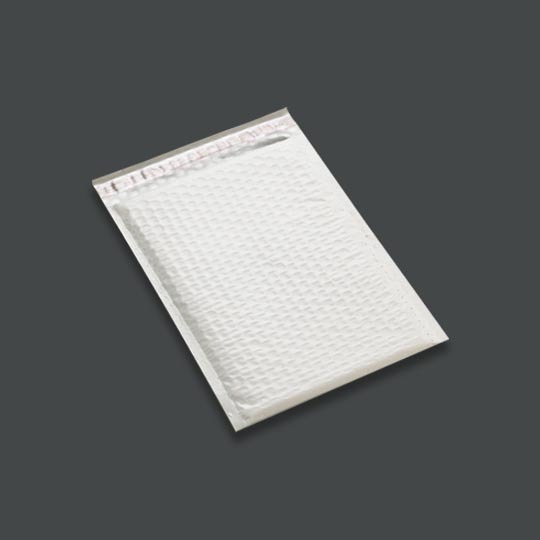 Double-walled mailers filled with fiber padding. It expands as the mailer envelope is handled, helping to absorb shock damage. A peel-and-seal adhesive strip provides a secure closure. Protecting products from shock, abrasion and minor collision damage. They can be used for any fragile or valuable items you’d ship in a standard bubble mailer or poly mailer envelope. 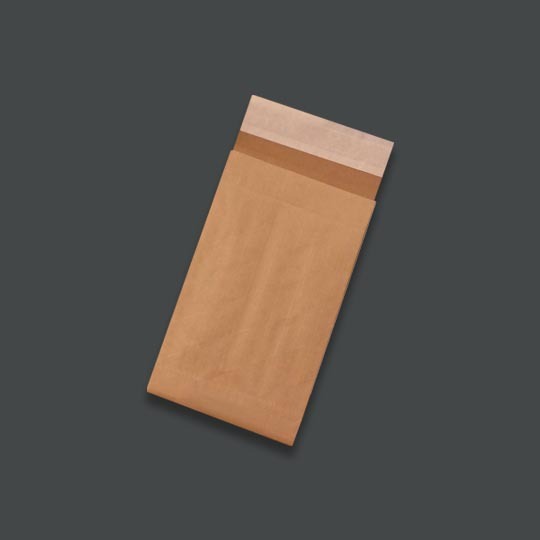 Lightweight mailer bags that reduce shipping costs while retaining shipping strength. Made from either recycled material or renewable sources, some are reinforced with fiberglass for extra strength. A peel-and-seal adhesive strip provides a secure closure. Custom printing options are available to brand them with your company logo and colours. Eco-conscious businesses and online stores looking to reduce their environmental impact. 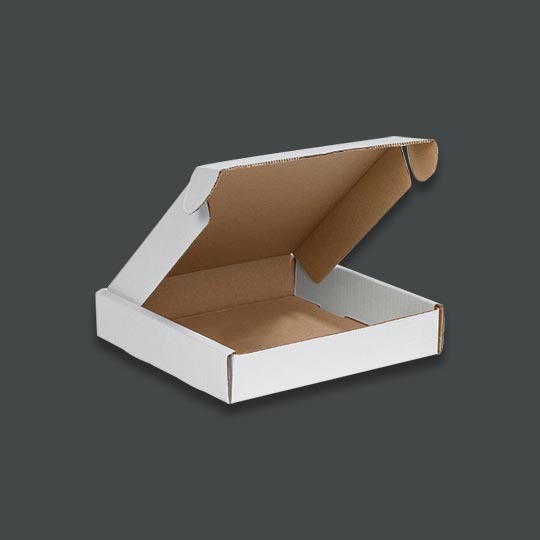 They can be used for any products you’d ship in a standard bubble mailer or poly mailer envelope. There’s certainly a wealth of options out there when it comes to shipping with mailers. But once you know what you’re shipping, and how best to ship it, you’ll feel confident knowing you’ve made the right choice. Still looking to learn more, or interested in printing options on eco-friendly mailer bags? Be sure to get in touch with us here at The Packaging Company.